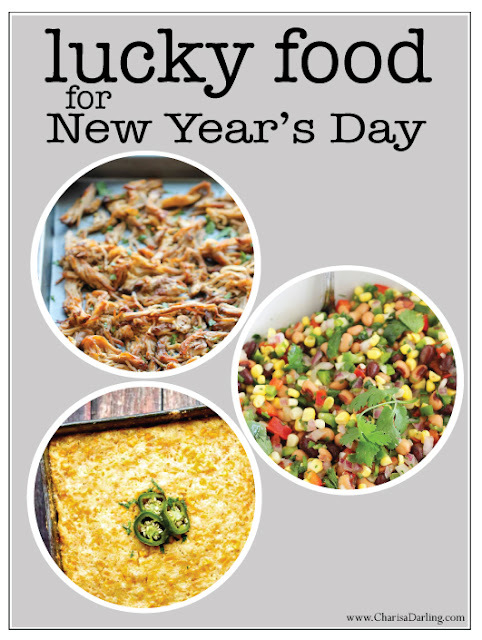 Lucky Foods to Eat on New Year's Day! Let's not take chances and cover our bases when it comes to starting the New Year off right! Every year we eat 3 lucky foods, being pork, sauerkraut, and black eyed peas. I'm adding some Mexican flair this year and here's what I'll be whipping up for my family on New Years Day. Pork Carnitas, Texas Caviar, and Sweet Corn Cake. I'll also make guacamole, rice, refried beans, and sauerkraut, which doesn't go with anything, but we'll all take a bite for luck. 2015 was good to me, but here's hoping 2016 is even better! Happy New Year, everyone!